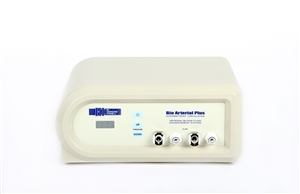 Designed to augment arterial blood flow and microcirculation, arterial compression devices are a clinically proven modality for patients who suffer from low arterial blood flow to the lower limbs, a disorder referred as Peripheral Artery Disease (PAD). 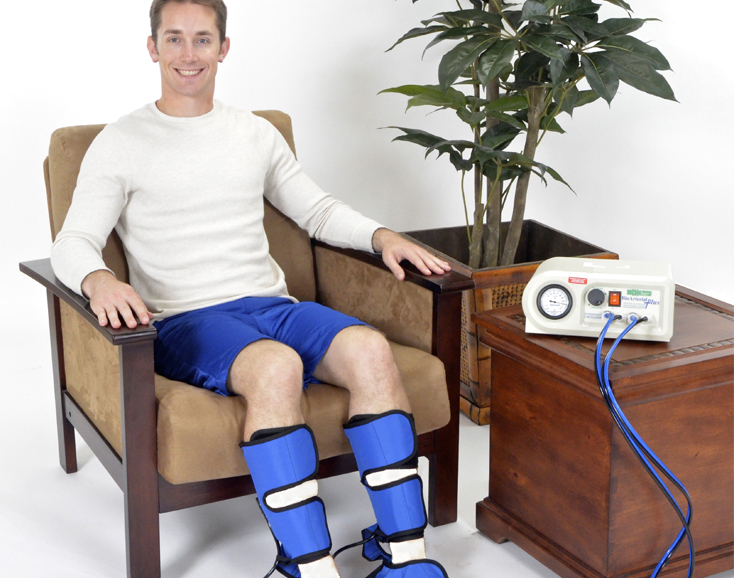 By applying rapid and timed compression to the foot and calf, these devices move blood through the deep veins of the leg at a highly pulsatile rate. The biological affect releases nitric oxide which helps dilate arteriole pathways and leads to a 3 fold increases capillary profusion. All of this helps relieve the symptoms associated with PAD, such as intermittent claudication, and ischemia. Patients who suffer from PAD find added relief from the use of arterial pumps and in many cases the devices can even save limbs from potential amputation. Symptoms of PAD can be decreased and controlled by using the BioArterial Device.